April 8, 6-9 pm: Echo in Four Beats Launch Party at the Weehawken Writers and Artists Studio! 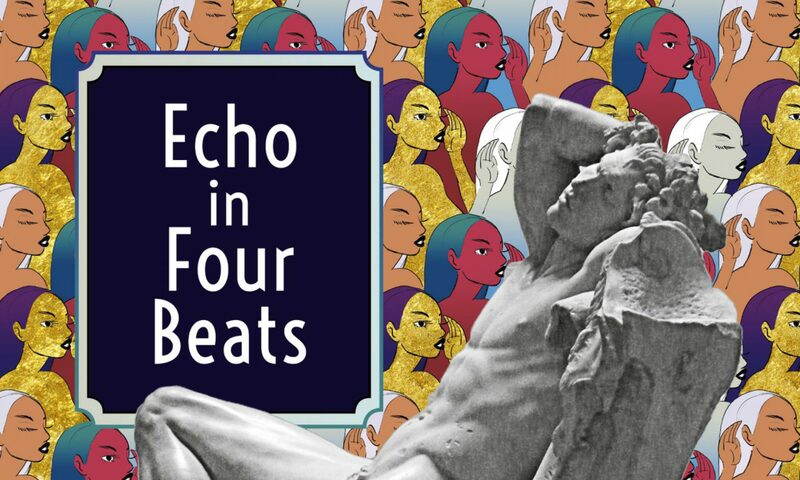 Combining elements, rhythms, and personas from American jazz, blues, and ragtime, poet Rita Banerjee presents a modern-day spin on the love story of Echo and Narcissus in her debut full-length poetry collection, Echo in Four Beats . But in this story, told in four parts, Echo is more than just a fragment, she is a Sapphic voice that speaks, foretells, forestalls, and repeats.Echo in Four Beats, which was a finalist for the Red Hen Press Benjamin Saltman Award, the Three Mile Harbor Book Prize, the Aquarius Press/Willow Books Literature Award, was released by Finishing Line Press this March!